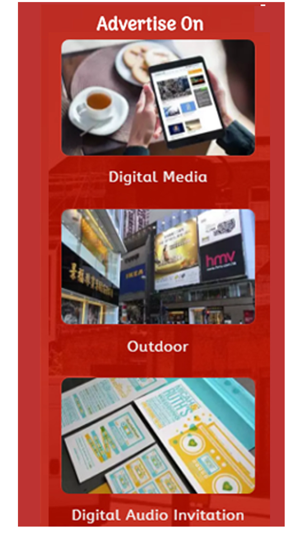 Searching for an Advertising agency For Media Planning / Branding ? You are at the right place. Madhu Publicity Service in a leading advertising agency in the region with best services. We make the voice for your brand. We are a leading marketing communication firm serving growing organization. We help entrepreneurs expand their markets by integrating new technologies with traditional media. Our Group has been awarded many times by leading newspapers which proves our competitiveness and efficiency. 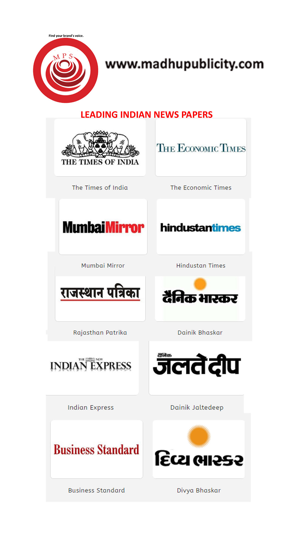 We are associated with all the leading newspapers like Times of India, Hindustan Times, Dainik Bhaskar, Rajasthan Patrika, Dainik Navjyoti, Dainik Jaltedeep, Amar Ujala, Hindustan etc. in India, providing advertising in all media marketing and business communication throughout India. We have our own in house, creative staff including designers and marketing specialists. This means that we have multiple people on hand with different styles to provide our clients with more choices and better execution of their plans. Our expertise in various industries over the last couple of years has benefited us build tailor-made solutions for your business as per your target audience. We have strengthened ourselves with the most creative minds in the industry using the latest innovation in media and technology. We provide quality service at a known price with real people that can help you with your problems. We are now up with our website. The only website of its type in the region. Completed secured by the SSL feature, the website provides online booking of advertisements from any part of the country. The website gives you the rate cards of different leading brands of the nation in the advertising field. This shows the transparency with which we are working. The payment gateway is completely reliable and secure. There is an app launched in the Google play store. This app serves the same purpose as the website does. 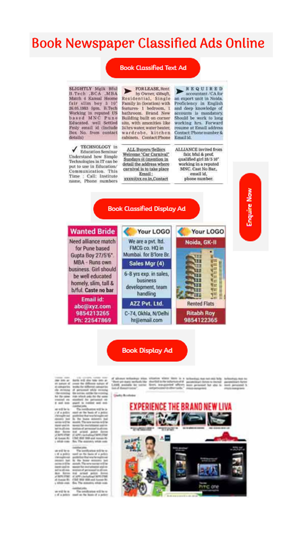 Now you can book your advertisements on you palmtops. Timely notifications are provided for offers and prices. So download the app now. Link provided below. 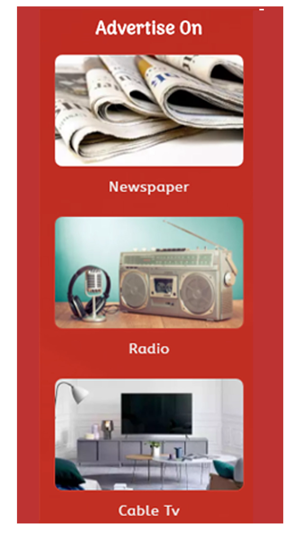 Apart from the traditional newspaper advertisement, we also provide advertising facility on Radio, Cable TV, Digital Media, Digital Video Creation, Outdoors and Digital Audio Invitation. These advertising types are new and trending in the market. This can be understood simply from the growing usage of Digital devices and social media. Give us an opportunity to serve. Advertise With Us & Grow With Us.